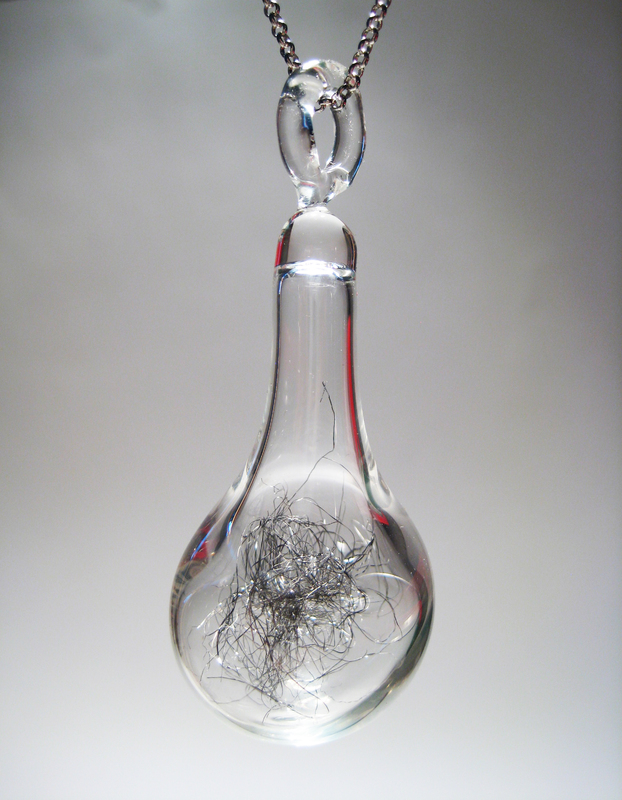 I decided to create a special blog specifically for my flameworked glass. 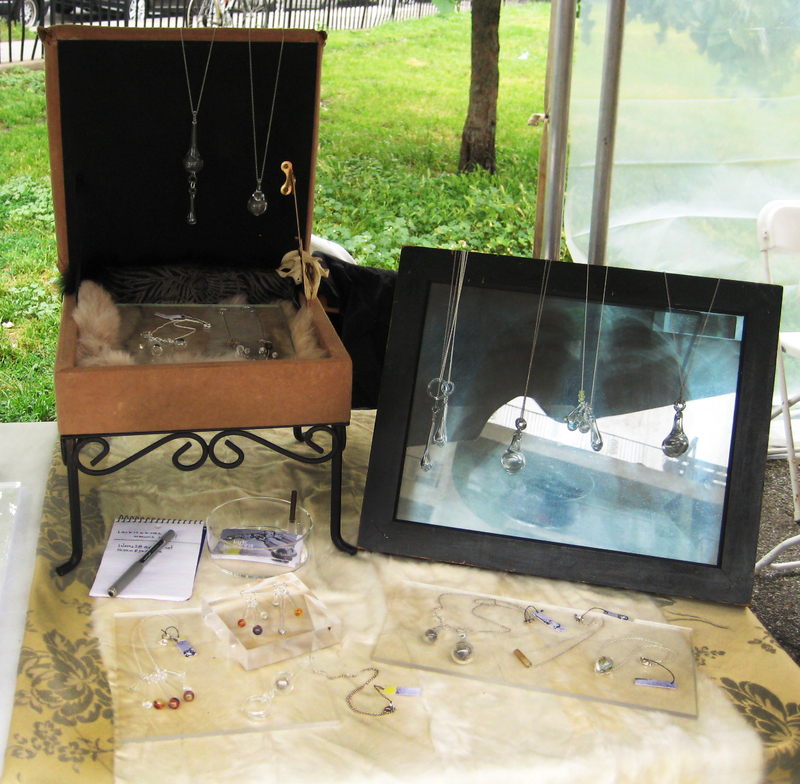 My friend Vanessa Fatton and I shared a booth at the Brooklyn Renegade Craft Fair. 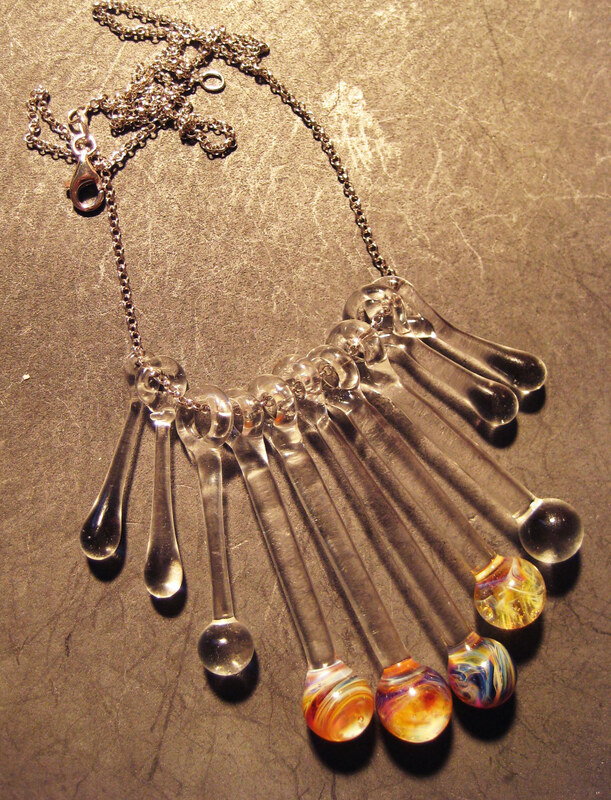 Standing with us is the lovely and talented glass artist Jenine Bressner, visiting from Providence, Rhode Island. I was really impressed by the fashion of many of the fair-goers. 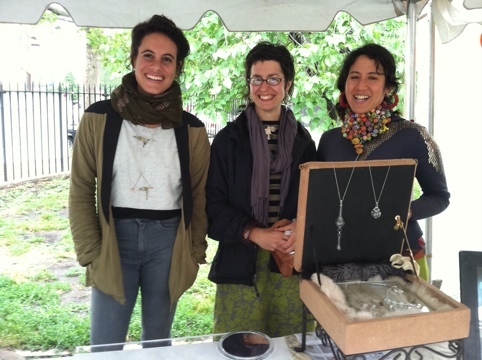 I saw so many innovative jewelry pieces being worn- I got all sorts of new ideas. My setup was small, so I tried to maximize space by making some vertical displays. One of them was an Xray I found on the ground in Chinatown, which I framed and then displayed necklaces over. It was a hit with the doctor in the crowd, who let me know that it was displayed backwards. The heart should be on the viewers’ right side. Good to know! It was interesting to see what people were attracted to on the table. 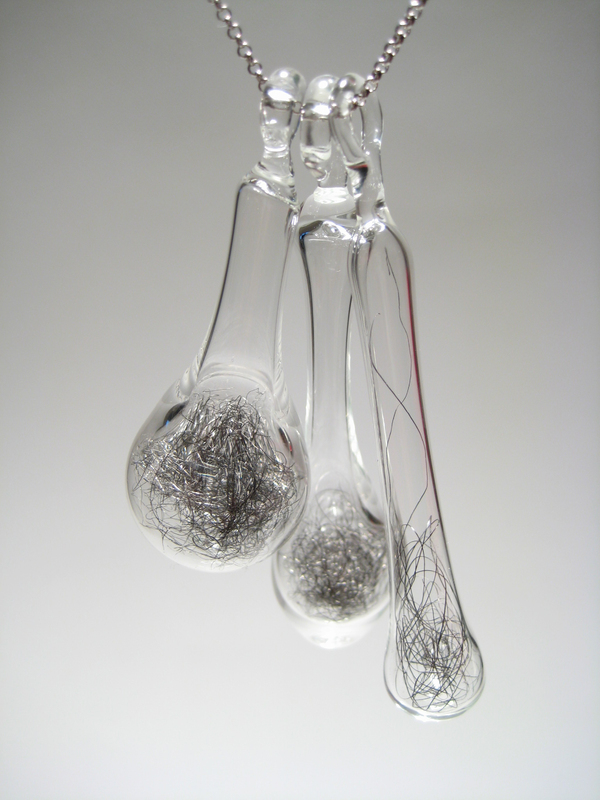 The steel wool definitely captivated people and drew them in to handle the pieces. Sunday morning jewelry times! Made this one bright and early. I think I am going to do more of these. I really like the clear ones with the different heights. Made this one today, it’s in the kiln as we speak! 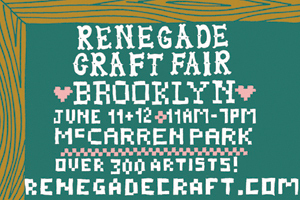 I’m going to be sharing a booth at Renegade Craft Fair in Brooklyn, next Saturday and Sunday. 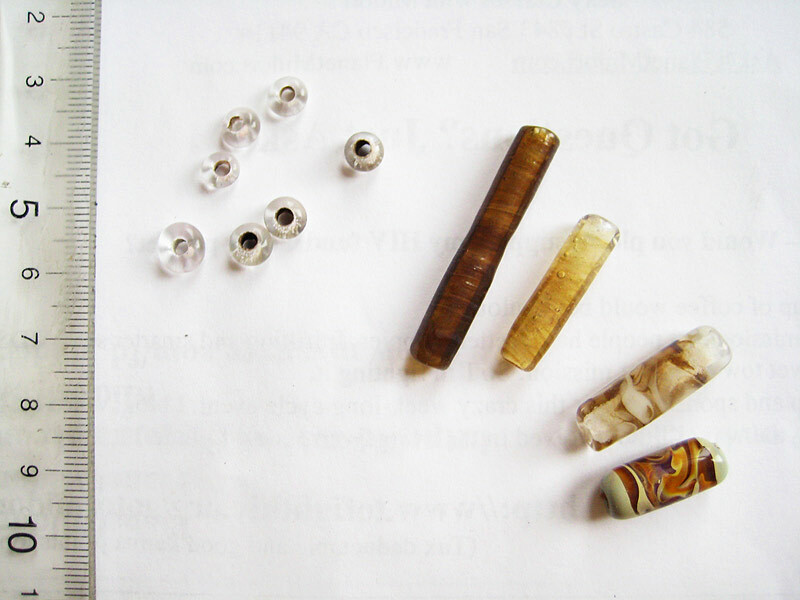 Brown translucent beads made with Northstar Nile boro. They’ve got subtle blue interference shades, really nice. 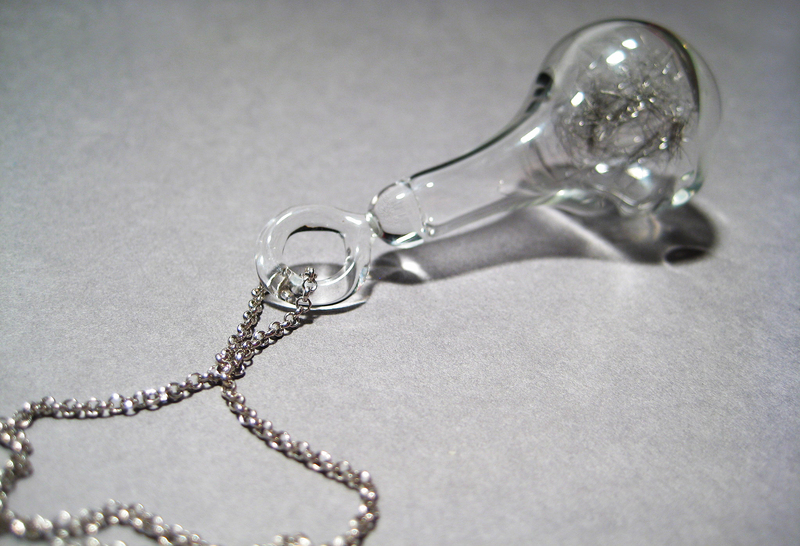 I have started working on some new glass pendants these days, and I am selling them on Etsy. 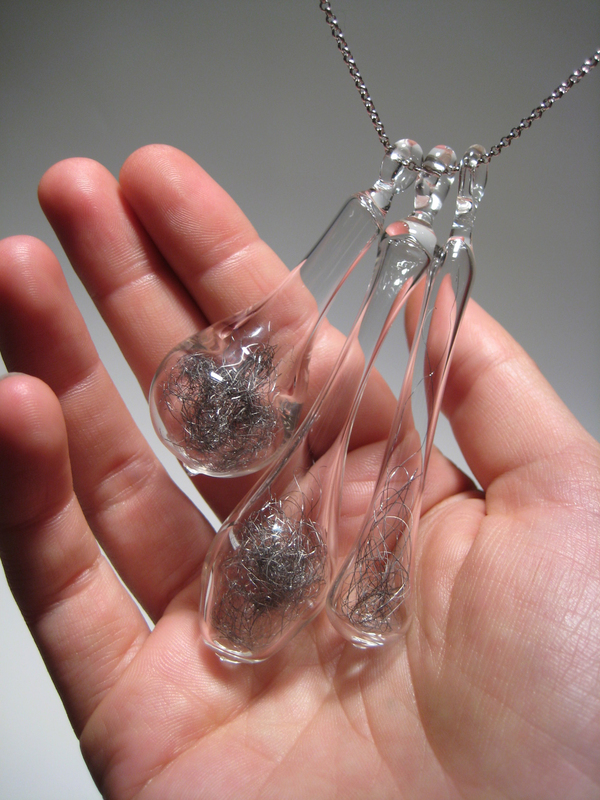 They are clear Pyrex pendants that are hollow and filled with steel wool. Most of them are quite small, from 5cm to 8cm in length. 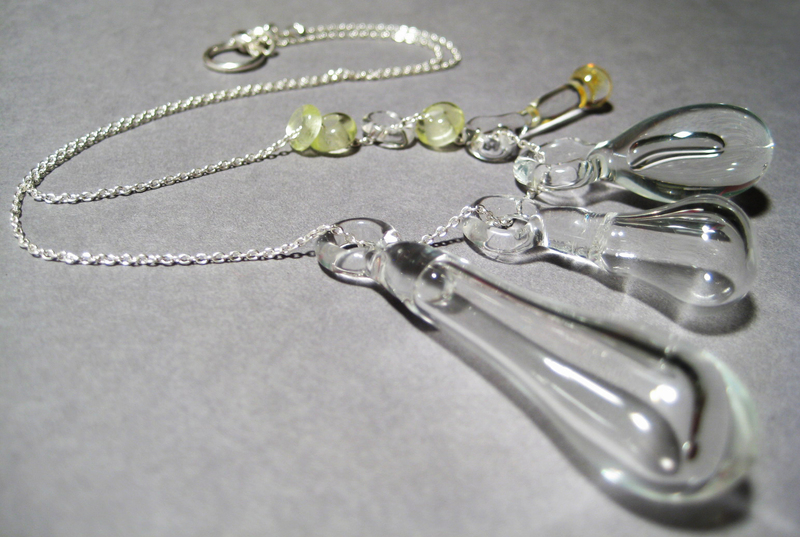 I have paired them together to create a cluster of multi-sized pendants as well as solo pendants. I’ll be adding more to this blog as I make and photograph them. 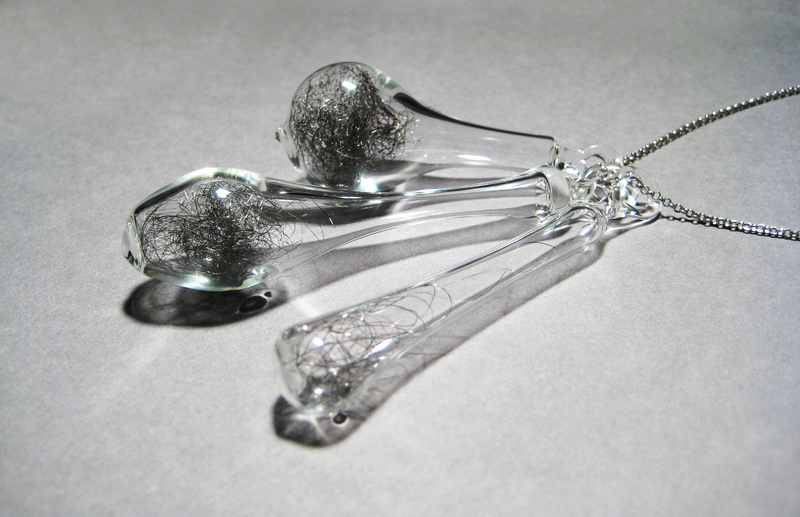 Here are two pieces that I have made. 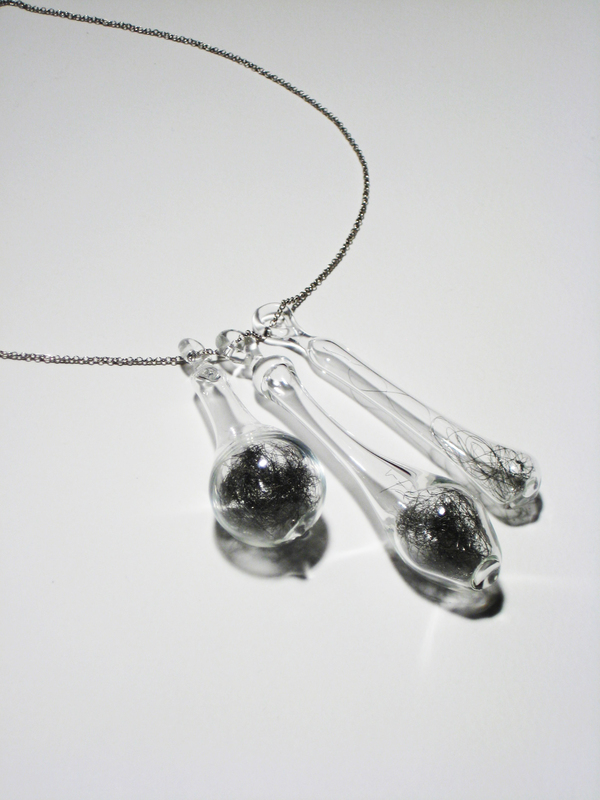 The first (cluster of three) has been sold but the second (solo pendant) is currently for sale on Etsy. I made this next one last week and photographed it this weekend. 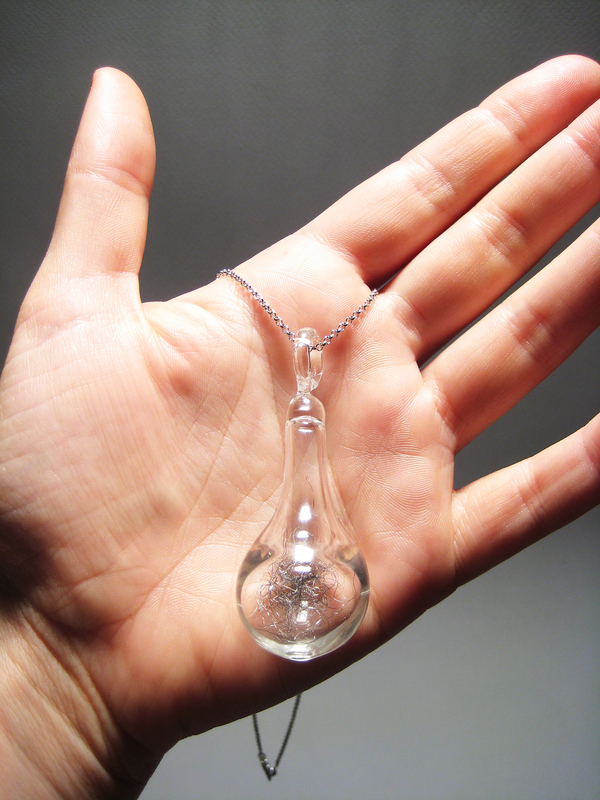 I’m trying out just a single pendant. 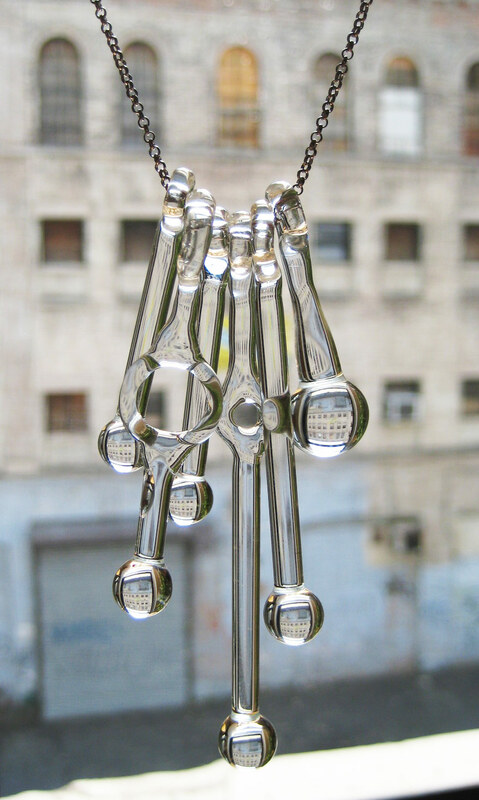 You can find my latest pieces at Larkisadora on Etsy. I’m open to collaborations and commissions! If you’re interested, please contact me through Etsy. I saw this woman, Mira Hunter, and her partner Derek Hunter presented this project last night at Dorkbot NYC. They set up 65 disposable cameras on a circular track and triggered them to simultaneously take one photo at a time. Then, after developing all the film, they centered each photo in Photoshop and pieced them together to create this video. Each position of her is one shot taken on 65 cameras, creating an amazing 3D perspective. It’s just genius and it’s very beautiful. It’s gets even better towards the end of the video, where there are falling petals and night time skies. Light leaked through the cheap plastic of the disposable cameras onto the 35mm film to create lovely mistakes in the form of light flashes and streaks across the pictures. Mira is a second generation whirling dervish. Typically dervishes are only men, but her father wasn’t too strict on gender norms and taught her all the same. 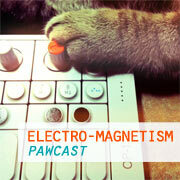 On Derek’s website, he suggests to listen to the video with headphones since he used binaural microphones for recording, which he says “are meant to mimic sound as the human ear encounters it.” I’m not sure if that translates through YouTube, but you can watch higher quality videos of this on both of their websites linked above.